Our experience shows that management information is as equally important as the efficiencies that our software provides – we do not under-estimate the importance of quality reporting, to help with the decisions you need to make. Credica provides you with a wealth of summary and detailed analysis regarding your ledger activity, disputed debt and risk exposure. A common problem that Credit Professionals need to solve is “I want to know who my top 10 customers are”. Top 10 by “what” we would ask. One of our reporting tools is purpose designed for exactly that. Top 10, 25, 50 and more, and by a multitude of different criteria. 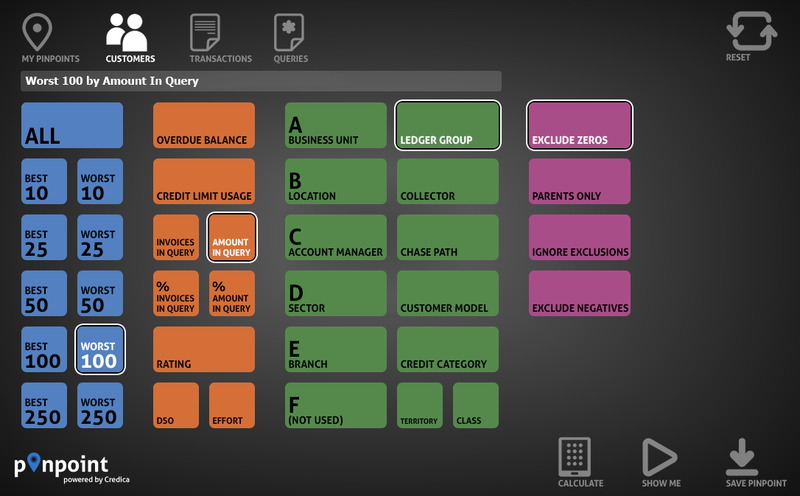 Top 10 by Overdue Balance, Top 50 by DSO, Top 100 by Amount in Query – there’s plenty more. 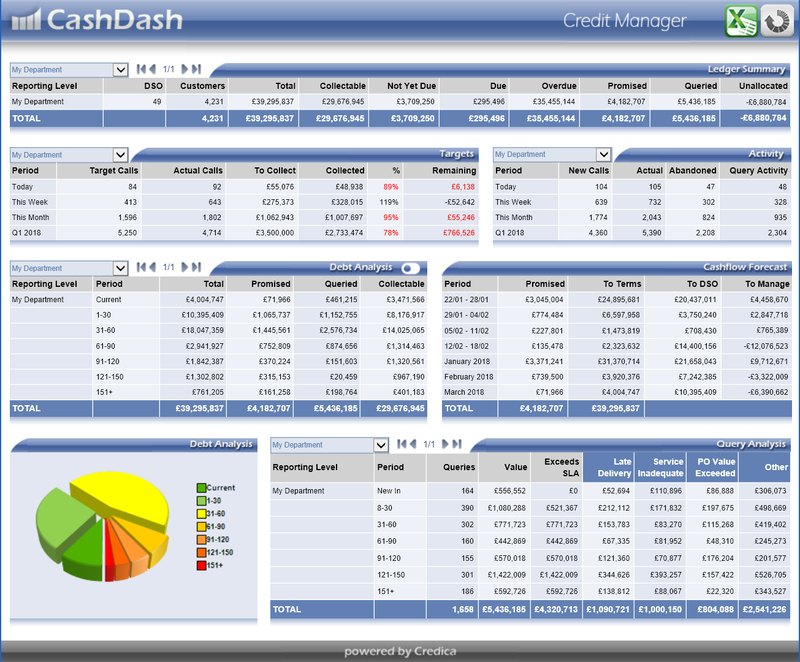 Using our CashDash tool, suddenly everyone’s working from the same current information, both in the office and out in the field – effortlessly avoiding crossed wires and helping you make smarter, more informed decisions. As well as cash forecasting, predicting the future based on past behaviour, also showing you actual promised cash for the coming weeks and months, enabling you to plan with much greater confidence. Real statistics, based on real events. We won’t deny it, Excel is the tool of choice amongst Credit Professionals – we have embraced this fact and we love it too. 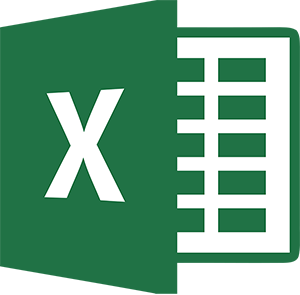 Our Excel tools connect directly to your Credica system, offering a variety of information to you on request – in pivot table, list or summary and graphical form. You can also export to Excel from any in just 1 click. As always, user friendliness is our first and foremost consideration.